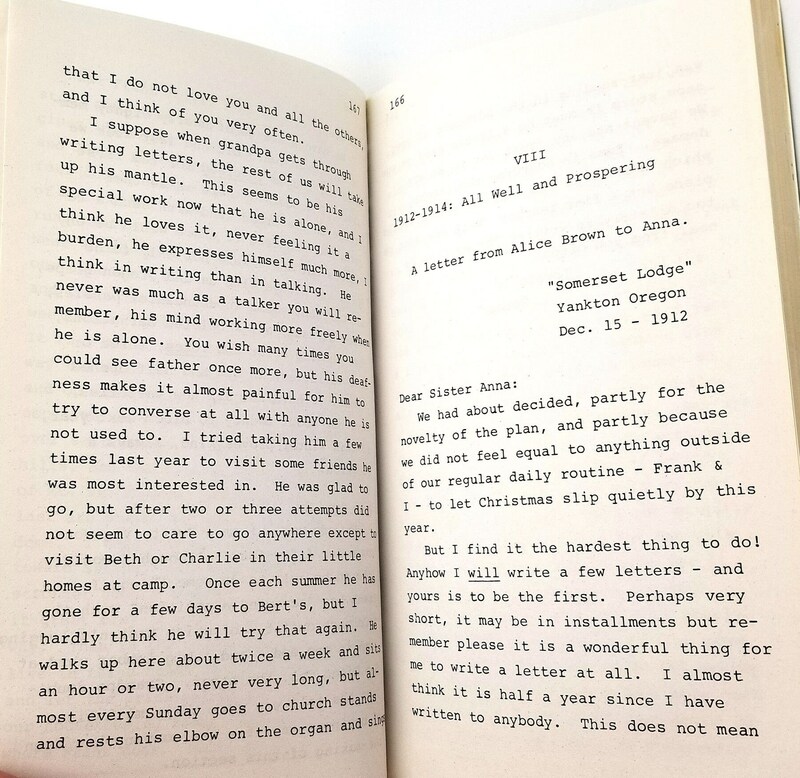 Description: Book has soiling and light fading to spine; a few soil spots to front and rear covers; tiny split at lower front spine corner; book has been bound upside down and pages are in reverse order; strangely oriented but readable copy. Stated first edition, 1978. 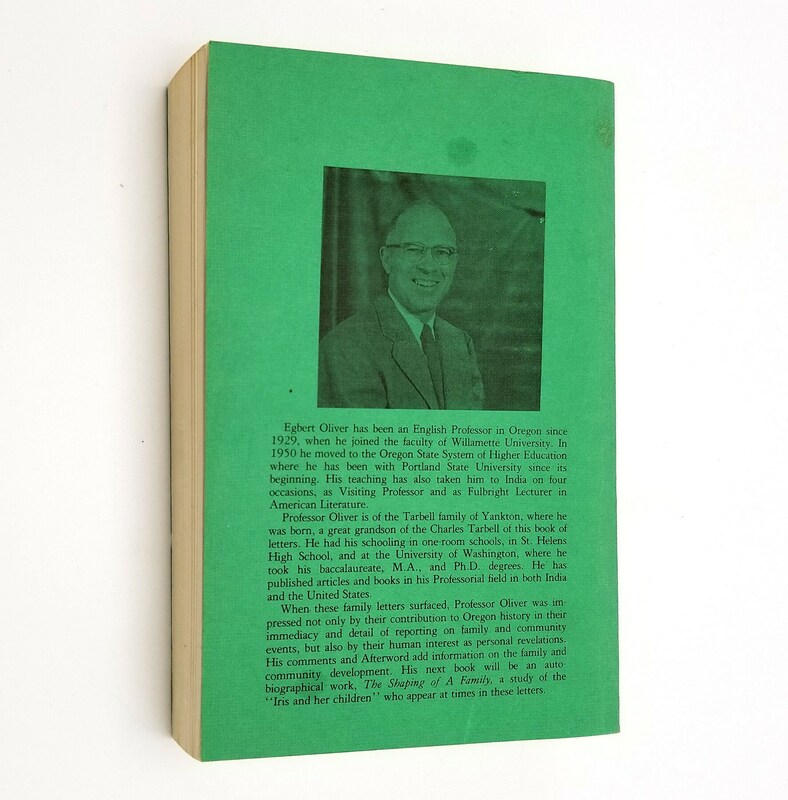 Arranged and edited with comments and an afterword by Egbert S. Oliver. 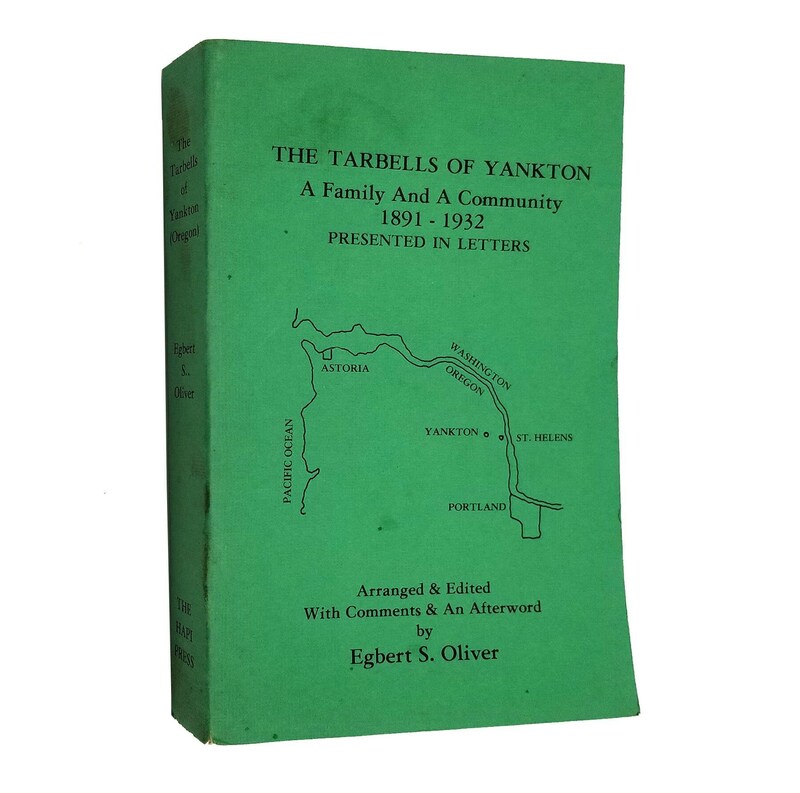 The town of Yankton, located about two miles west of the city of St. Helens, was established by the Tarbell family. Size: 5 x 8.5 inches.